Chipped tubs are common problems, and Miraculous Makeovers is here to help by offering fiberglass tub chip repair in Tri-Cities, TN. Call (423) 612-4174 and keep your bathtub up to date. Nobody wants to look at tub chips more than they have to, so make sure to visit our online specials page before you call. If you are experiencing chips in your fiberglass tub, there are a few things you can do before calling for fiberglass tub chip repair. First of all check to see if the chips arent all the way through the fiberglass. Whether it isnt something as serious as a crack or hole on your fiberglass tub, you must remain cautious of future damages. Both chips and nics can be the beginning stages of a crack or hole. Sometimes fiberglass chips will become worse, homeowners often take a large risk, of floor damage, drywall damage and ceiling stains. Once you make sure your fiberglass tub repair has been successful you can begin to enjoy your fiberglass bathtub once again. Why Worry About A Chip On Fiberglass Tub? A chip on a fiberglass tub may not seem like a big deal; after all, what’s a little chip going to hurt on my fiberglass tub? When chips begin to form on your fiberglass tub constant water submerging can quickly lead to holes or even worse large cracks. We are always ready to go above and beyond to meet your fiberglass tub chip repair needs. Our fiberglass bathtub chip repair services are carried out by using the best and latest methods that won’t damage your tub even more. 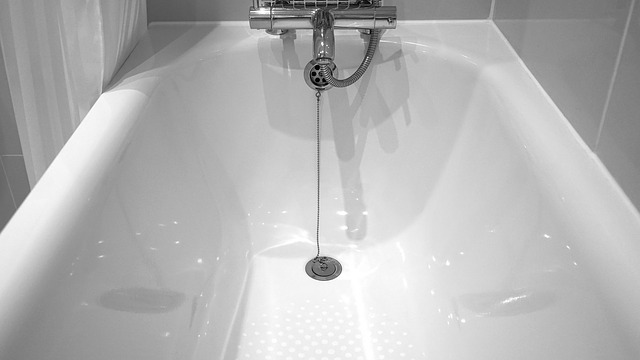 give us a call today to enjoy risk-free fiberglass tub chip repair services you deserve. How Do I Fix A Chip In My Bathtub? Chips in your bathtub surface requires professional fiberglass tub chip repair. Hardware store repair kits are often short term fixes to repair chip in fiberglass tub. If your bathtub is chipping, it is best to call for professional assistance. We will use professional grade materials to rehabilitate the tubs damaged area. We use poly-filler to fill in all chips and sand it using a light grit sand paper. This method is safe for the outer areas of the repair, which will not leave any visible scratches during the process. To avoid chips from happening in the future, be careful of what is being used in or around your bathtub on a regular basis. Dropping hammers and other heavy objects inside your tub can cause problems. Avoid using heavy objects over your bath. Have fiberglass tub chips that needs to be seen immediately or need the services of a expert Tri-Cities, TN fiberglass tub chip repair contractor you can count on? Contact Miraculous Makeovers today at (423) 612-4174.